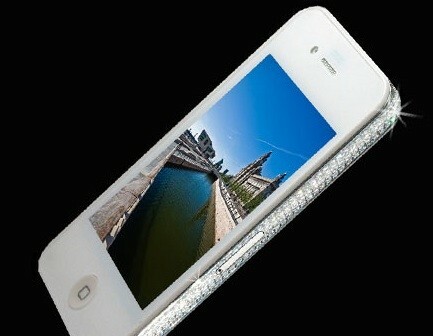 Diamond Encrusted iPhone 4 Anyone? 20k burning a hole in your pocket? What something that will catch everybody's eyes? Well this diamond encrusted white iPhone is for you. Stuart Hughes, the luxury gadget designer who takes gadgets and immortalised them in diamond, gold and silver has done the same to the new iPhone 4. It comes with a diamond encrusted antenna bezel (I hope it has better signal! ), 32Gb of flash memory, unlocked and of course the infamous white version of the iPhone 4. And all for a cool $20,000!